This year the guide quotes Morgon 2005, Moulin à Vent 2005 and Bourgogne pinot noir 2005. In 1920, a vine grower of the Beaujolais wine becomes trader : the Baronnat company is founded. The business, directed since 1985 by its grandson, turned his glances to the south of Lyon: she proposes also wines of the Rhone, Languedoc and Provence. 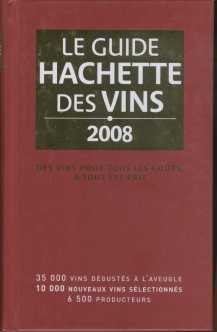 Its vintages of the Beaujolais wine appear regularly inside the Hachette wine Guide. This year, its Morgon is quoted for its garnet-red dress without defect, its nose of red small fruits offering an interesting expression of the soil and for its right, powerful and tannic mouth, which will allow a one year guard or two. His " Moulin à vent " 2005 is also quoted. A true program. Color, reflections, odorous complexity (black cherry, wooded), concentration and completion, long aptitude for the guard, this wine is excellent and it will make the happiness of a meat out of sauce, but not before two years.